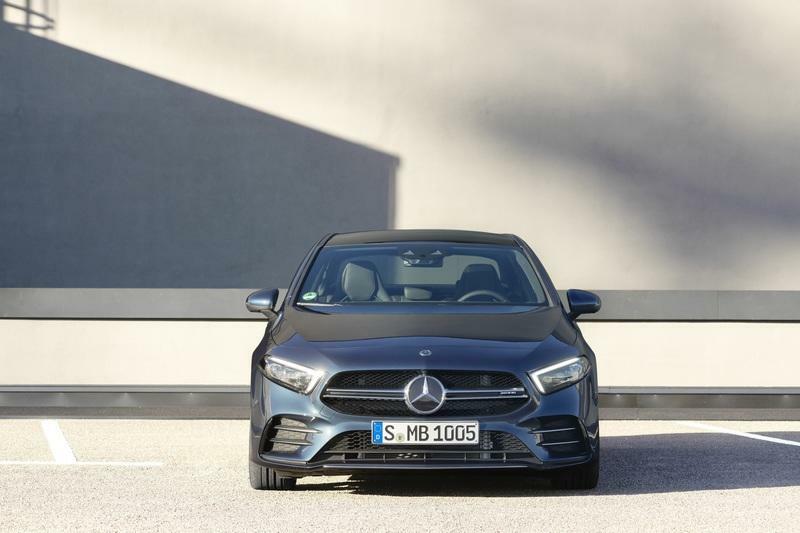 We’ve seen what Mercedes-AMG can do when it comes to entry-level luxury performance with the 2019 A 35 4Matic, and now it’s time to apply that formula to a three-box profile with the 2020 Mercedes-AMG A 35 four-door sedan. Under the hood, you’ll find the same turbocharged 2.0-liter four-cylinder engine as the hatchback model, with output rated at 306 horsepower and 295 pound-feet of torque. 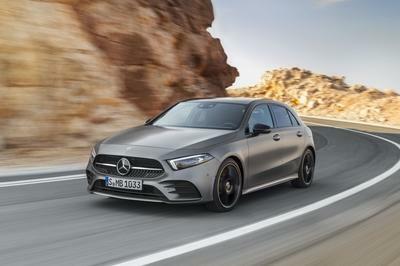 The ‘four connects to an AMG Speedshift DCT 7G dual-clutch transmission and variable AMG-spec 4Matic all-wheel drive system, the latter of which ranges from front-wheel drive only, to a 50:50 front-to-back torque split thanks to an electro-mechanical multi-disc clutch. 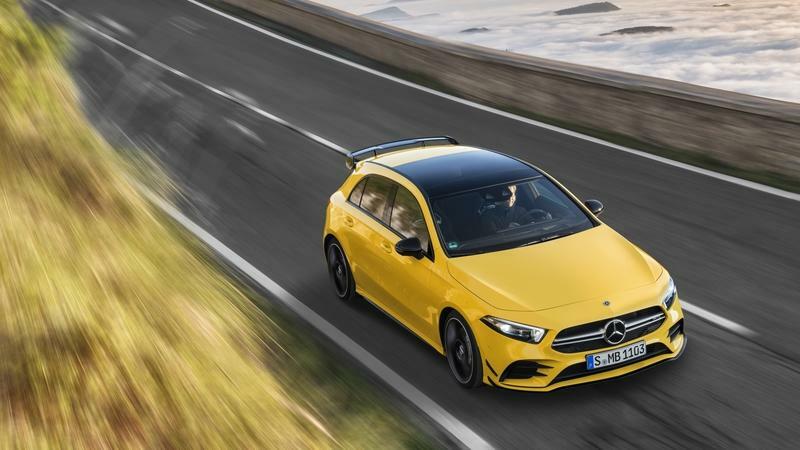 Properly motivated, the 2020 Mercedes-AMG A 35 will hit 62 mph in 4.8 seconds, while top speed is electronically limited at 155 mph. 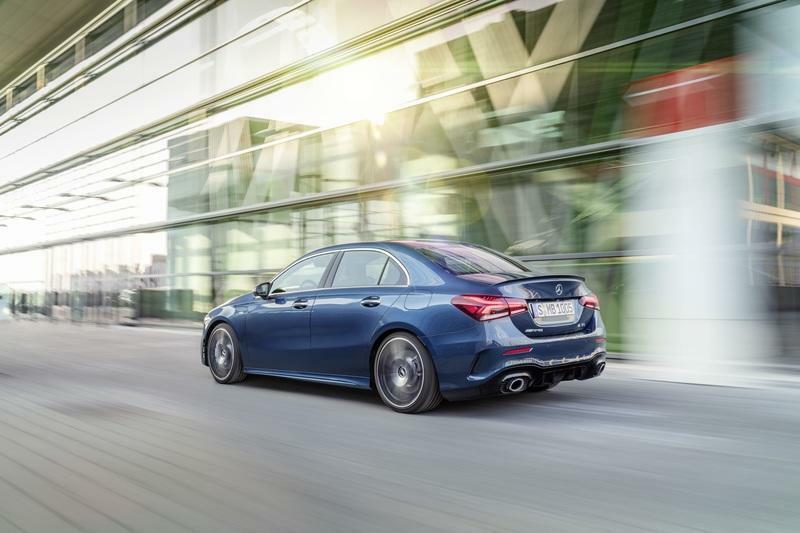 As for styling, the sedan rocks a twin-louvres front grille and the usual AMG buff bits for the exterior, including a new front apron, front splitter, rear spoiler lip, and 18-inch ally wheels, plus a plethora of silver chrome trim. Optional equipment includes larger 19-inch wheels as well an an AMG Aerodynamics Package and an AMG night Package. The corners are stuffed with the latest AMG suspension pieces. Merc also reinforced the sedan’s front end for more precise turn-in, which is a nice addition for an all-wheel drive performance model. Speed-sensitive steering as standard, while adaptive AMG Ride Control is optional. Throwing the anchor are four-pot calipers and 350 mm (13.8-inch) rotors in front, plus single-piston calipers and 330 mm (13-inch) rotors in the rear. 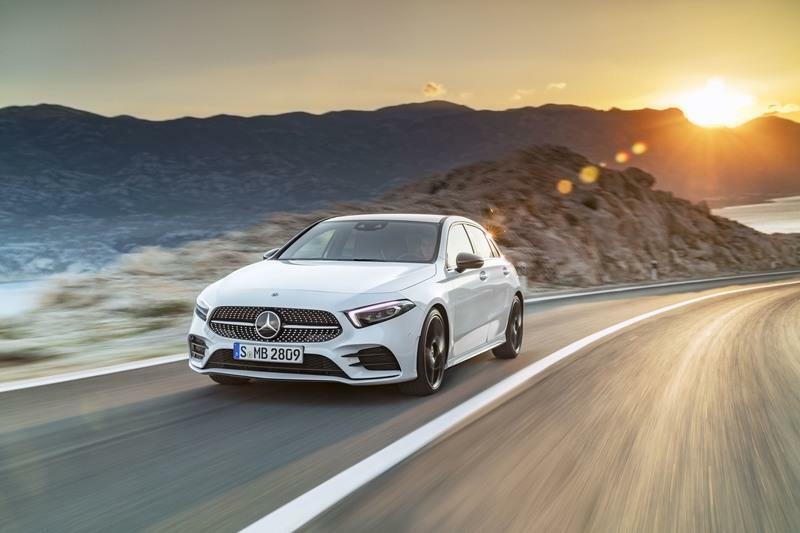 Inside, the 2020 Mercedes-AMG A 35 comes with standard with MBUX infotainment plus advanced voice control, as well as twin digital displays. You’ll also find an AMG steering wheel, leatherette and microfiber upholstery with red contrast stitching, and red seat belts. In back, the sedan offers as much as 420 liters (14.8 cubic-feet) of cargo room in the trunk. Pricing and availability details are so far unannounced, but if we were to guess, $45,000 to $55,000 feels about right. Competition includes the Audi RS 3 and the BMW M240i xDrive. 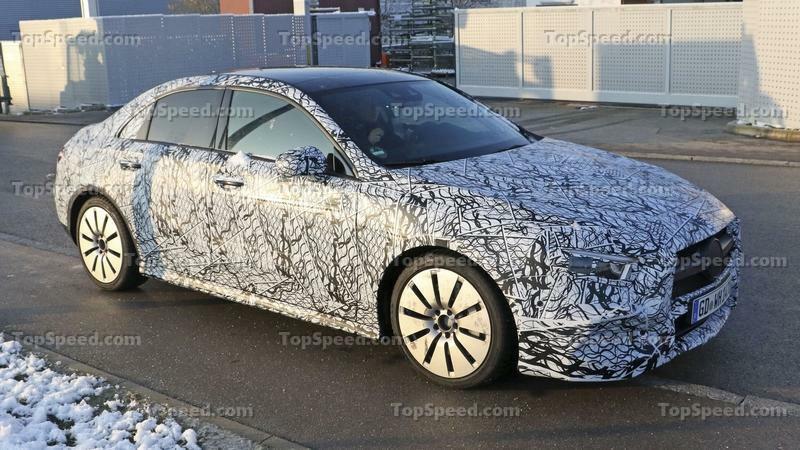 Read our full speculative review on the 2020 Mercedes-AMG A 35 Sedan. Read our full review on the 2018 Mercedes-Benz A-Class. Read our full review on the 2018 Mercedes-AMG A 35. 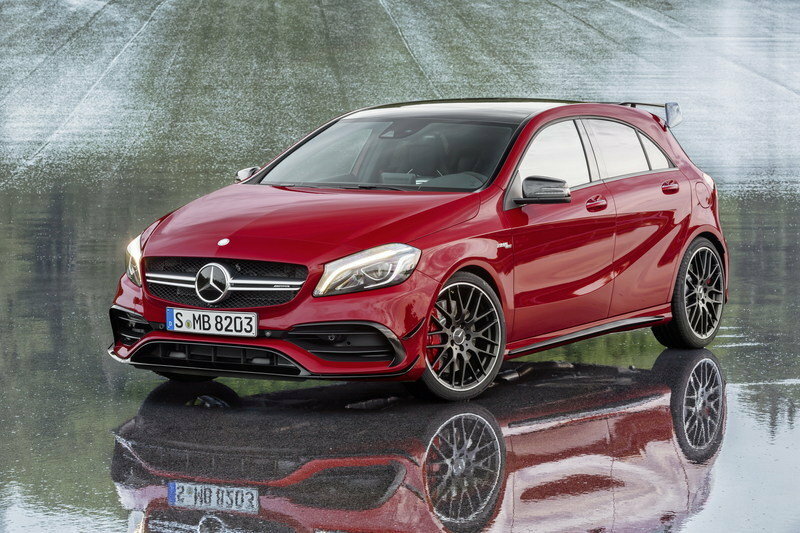 Read our full review on the 2015 Mercedes-AMG A 45 4MATIC. Following the Hot Hatch, the next level of driving performance is here: the A 35 4MATIC Saloon (combined fuel consumption 38.7-39.2 mpg (7.3-7.2 l/100 km); combined CO2 emissions 167-164 g/km) is the second model from Mercedes-AMG based on the new compact car platform and the first choice for customers looking for sportiness combined with a comfortable amount of space for passengers and luggage. The exceptional driving dynamics of the agile notchback model are ensured by the 2.0-litre four-cylinder turbo engine with 306 hp (225 kW), the AMG SPEEDSHIFT DCT 7G dual-clutch transmission, the AMG suspension and the variable AMG Performance 4MATIC all-wheel drive. The new A 35 4MATIC Saloon expands the current AMG model range by an additional attractive entry-level model. It appeals to young target groups who are looking for a high level of performance and a comfortable amount of space for passengers and luggage. 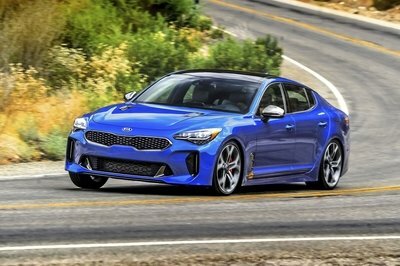 An acceleration time of 4.8 seconds for 0-62 mph and the top speed of 155 mph (electronically limited) meet these customers’ requests for high driving dynamics also in the compact segment. A 35, we are transporting this history into modern times in the form of a very attractive model that serves as a point of entry into the world of AMG and also appeals to new customer groups”, states Tobias Moers, CEO of Mercedes-AMG. 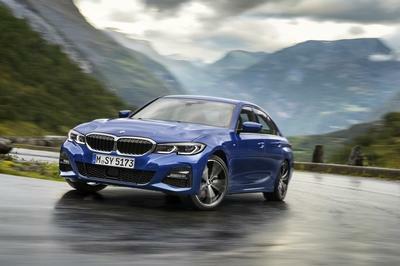 The four-door saloon car is based on a wheelbase of 2729 millimetres and displays the powerful proportions of a dynamic, and at the same time, compact saloon car with sporty short overhangs at the front and rear. The radiator grille with twin louvres; the AMG Line front apron with flics on the air intakes; a front splitter; and silver chrome trim elements are distinguishing AMG design features. In the side view, the aerodynamically optimised 18-inch light-alloy wheels in five twin-spoke design and the side sill panels of the AMG Line catch the eye. The muscular vehicle shoulder with a precise character line running below it emphasises the perfectly contoured side volume. The side mirrors sit on the beltline as on a sports cars. The optionally available 19-inch wheels reinforce the typical AMG look. The two-part tail lamps and the new diffuser insert underscore the rear end that emphasise the width. Additionally, there is the spoiler lip on the boot lid and the two round tailpipe trims positioned on the extreme left and right. Above-average shoulder, elbow and headroom plus the easy access to the rear contribute to increased utility. The A 35 4MATIC Saloon is at the top of its segment with regard to rear headroom (944 mm). The boot holds 420 litres and was designed for practical usability. The boot opening is very large with a width of 950 mm and a diagonal of 462 mm between lock and lower edge of the rear window. This allows comfortable loading and unloading, even of larger luggage items. This applies in particular to the optional KEYLESS-ENTRY which enables hands-free and fully automatic opening of the boot lid with a kicking motion of the foot under the rear bumper. And needless to say, the trailblazing voice control activated with the words “Hey Mercedes” is also on-board. Thanks to artificial intelligence, MBUX recognises and understands nearly all sentences from the fields of infotainment and vehicle operation, even if they are expressed indirectly. In addition, with the new optional MBUX interior assistant, select multimedia functions can be operated touchlessly and the reading light can be switched on and off. The touchscreen multimedia display also emphasises the dynamic character with individual AMG displays. Another new feature is the distinct AMG centre console with touchpad and additional switches for operating ESP®, manual transmission mode and adaptive adjustable damping (optional). The AMG drive programmes can be actuated directly via the controller. The selected drive programme is shown on the colour LCD display directly integrated in the controller. With the two freely configurable display buttons and the additional switches, further AMG functions can be controlled within easy reach, directly on the steering wheel. Each function required can be depicted on the other LCD display, and its switch is tapped by the driver to set the respective function. The driver’s two preferred AMG functions can be defined in this way and the settings changed with just one tap of the finger. The seat covers are available in ARTICO man-made leather with DINAMICA microfibre in black with red contrasting topstitching and red seat belts. Red piping on the microfibre DINAMICA trim element and ventilation nozzles with a red ring add further accents. Specific measures to strengthen the front section of the bodyshell form the basis for the precise turn-in ability and the toe and camber stability of the chassis components, even when driving at speed. A so-called “shearing plate” – an aluminium plate underneath the engine – increases the torsional rigidity and bending resistance at the vehicle’s front end. Two additional diagonal braces at the front of the underbody also reduce torsion and increase the stiffness. The 2.0-litre four-cylinder turbo engine boasts a spontaneous response to accelerator pedal commands, high tractive power (400 Nm max. 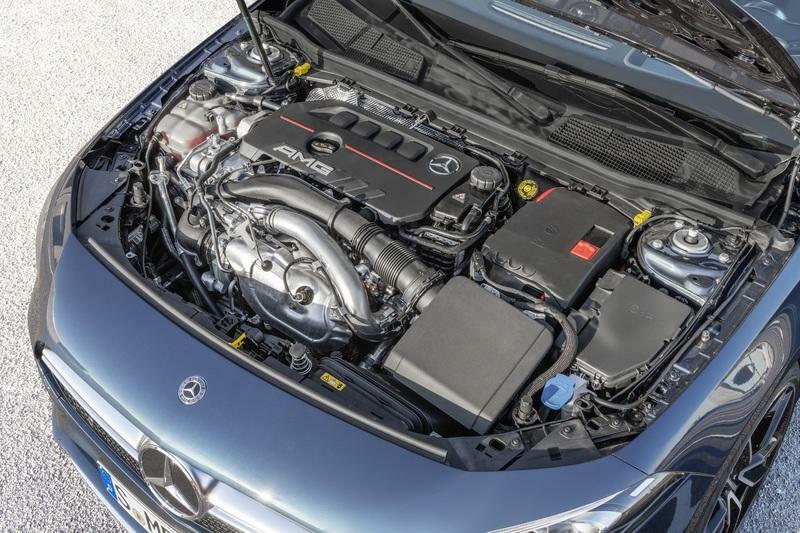 torque from 3000 rpm), a supremely lively response and an engine sound typical of AMG. The crankcase made of high-strength, lightweight die-cast aluminium reduces the vehicle weight where it matters most for driving dynamics. A twin-scroll turbocharger is used for turbocharging. It combines optimum responsiveness at low engine speeds with a strong power increase at higher speeds. The housing of the twin-scroll turbocharger is divided into two parallel ducts. Together with two separate exhaust ducts in the exhaust manifold, this makes it possible to channel the exhaust gases separately on the turbine wheel. This minimises the mutual negative influence of the individual cylinders in the charge change cycle. This reduces the exhaust backpressure and improves the charge change as well as the efficiency of the engine. The exhaust system features an automatically controlled exhaust flap as standard. Depending on the drive programme selected the sound is modulated from balanced to powerful. The high technological standards of the new four-cylinder engine are underscored by numerous efficiency-enhancing measures. These include CAMTRONIC variable valve control, intelligent thermal management for engine and oil, high-precision piezo injectors and multi-spark ignition. In production, the patented CONICSHAPE® cylinder honing reduces internal engine friction and also increases efficiency. The AMG SPEEDSHIFT DCT 7G dual-clutch transmission also contributes to the agile and dynamic character of the new A 35 4MATIC Saloon. The gear ratios have been configured so that the driver experiences very spontaneous acceleration in all speed ranges, combined with fast shifting and optimum connections when shifting up. The standard RACE-START function allows maximum acceleration from stationary. The functions of the transmission are rounded off with a temporary M mode activated by operating the steering wheel shift paddles in any driving mode, and with the manual transmission mode “M” for manual gear shifting with the shift paddles. Dynamism, agility and performance – these three attributes characterise the standard all-wheel drive of the new AMG A 35 4MATIC Saloon. The variable AMG Performance 4MATIC combines the best possible traction with lots of driving fun. The torque distribution is infinitely variable to suit the dynamic handling requirements. The spectrum ranges from front-wheel drive only to a 50:50 percent distribution to the front and rear axles. The main advantages of electro-mechanical control over an electro-hydraulic system relate to sharper driving dynamics. This is primarily due to the significantly faster response and speed-independent actuation of the discs over the entire adjustment range. The new “Slippery” drive programme is optimised for low-grip, icy road conditions, with reduced power and a flat torque curve. Smooth gear changes, earlier upshifts and the ECO start/stop system support the stability-focused driving impression. The “Comfort” programme stands for comfortable and fuel-efficient driving, for example due to very early upshifts. Suspension and steering are set up with an emphasis on comfort, the ECO start/stop system is active. “Sport” and “Sport+” place the focus on agility and driving pleasure with sporty engine and transmission tuning. 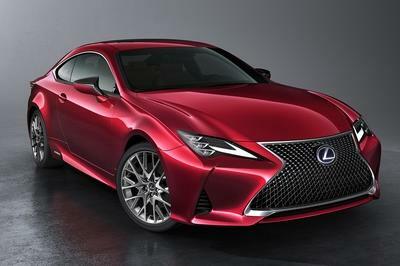 The sound of the turbocharged engine becomes more distinctive. The ECO start/stop system is inactive. “Sport+” is particularly emotional with double-declutching during downshifts and partial cylinder cut-off via a brief and precisely defined retardation of ignition and injection at full load. The “Individual” drive programme enables the individual parameters to be selected and saved according to personal preferences. In addition, the gliding function is available in the “Reduced” and “Moderate” drive settings. As a new feature in the AMG DYNAMIC SELECT drive programmes, the new A 35 4MATIC comes with AMG DYNAMICS. This integrated dynamic handling control system extends the stabilising functions of ESP® with agilising interventions according to the driver’s wishes. During dynamic cornering, imperceptible braking intervention on the rear inside wheel creates a defined yawing moment about the vertical axis. The effect: the A 35 4MATIC steers very precisely and is responsive. The different manifestations of AMG DYNAMICS are called “Basic” and “Advanced”. On the multimedia display, when a drive program is selected, the new AMG DYNAMICS symbol is displayed together with the corresponding additional information. In the “Individual” drive programme the driver can set the AMG DYNAMICS levels individually. The front axle of the AMG suspension features a MacPherson suspension strut construction. Suspension is taken care of by one wishbone below the wheel centre, one spring strut and one tie rod respectively. The special axle geometry reduces the influence of the drive on the steering – for high comfort and agile handling. The new wishbone in aluminium reduces the unsprung masses enabling a more sensitive response from the springs. The AMG-specific front steering knuckle has a radially bolted brake calliper – a technology originating from motorsport. The optional AMG RIDE CONTROL suspension features an adaptive adjustable damping system, which allows the driver to switch between three different suspension configurations. The spectrum ranges from comfort-focused to sporty. The system operates fully automatically, adapting the damping forces for each wheel according to the driving situation and road conditions. This happens within milliseconds and is infinitely variable, with a wide spread of damping characteristics. The result is that ride comfort and agility are enhanced in equal measure. The generously proportioned high-performance braking system brings the A 35 4MATIC Saloon to a stop and has short stopping distances. 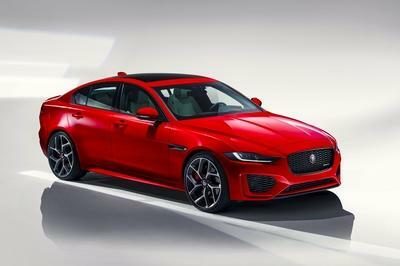 The front axle is fitted with 4-piston monoblock fixed callipers and 350 millimetre brake discs, the rear axle with 1-piston sliding callipers and 330 millimetre brake discs. The discs are internally ventilated and perforated to better dissipate heat and prevent brake fading, even with extreme use. The silver-painted brake callipers have black AMG lettering. The speed-sensitive, electro-mechanical sports power steering supports a sporty driving style with its direct turn-in ability. It has a special rack with variable transmission ratio and two characteristic curves: depending on which drive programme the driver has selected, it provides taut and sporty or more comfortable steering feedback. The rigid mounting in the integral carrier connects the steering even better with the body and thus increases steering precision. The optional AMG Aerodynamics Package (included in the Style Pack) developed in the wind tunnel improves handling at high speeds. The front apron with larger front splitter and additional flics in high-gloss black, as well as the larger AMG spoiler lip on the rear boot lid, increase the downforce. The lateral spoilers around the visual air outlets of the rear apron and the diffuser blade also have a high-gloss black finish. Likewise optionally available is the AMG Night Package (part of the Style Pack). The striking black design elements underscore the sporty-expressive vehicle character. Additionally there are the heat insulating dark tinted windows from the B-pillar.